Aztec geometric print dress | More blue fabric? I thought I recognised this fabric. 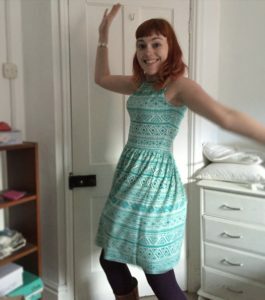 I also made a Moneta out of one metre of Charcoal Knit from the SewBrum / Girl Charlee UK raffle.